I love the sense of possibility that a new year holds; I think that’s why I love making goals and dreaming dreams each January. I’ve spent a lot of time thinking about what I want to accomplish in 2013, as well as for the five and ten years beyond. Save up half a down payment. We own our home, but a huge goal of ours is to move to a larger one (that is, one with more than one bathroom for our family of six) without selling our current home. That means we need to save up a down payment from scratch. This is a pretty audacious goal, but we’d be delighted to accomplish this. Complete a Whole 30. This is a short-term (30 day) nutritional reset. I eat this way (whole foods, and for me, low glycemic index) most of the time already; the big changes for me are no coffee, no wine, no cheating. I slated January as my Whole 30 month, but I was dreading giving up the coffee so much I started it early so I could just get it over with already. Today is Day 6. Practice yoga once a week. Recently I’ve started Jennifer Hoffman’s yoga video series, and I feel great when I do it. I don’t know if once a week is enough to see any real benefit, but I know I can manage doing these once a week. The next two are my unaccomplished fitness goals for 2012. Here’s to a better 2013! Write something every day. Many times I have an idea to write something–an essay, a poem, a story–but I don’t do it because it won’t make a good blog post or I don’t have a good venue to share it. This year, I want to write more for the sake of writing. Guest post once a month. Last year, I so enjoyed the relationships I built through guest posting. This year, I want to intentionally plan these. Read 3 books about the craft of writing. This is a repeat of one of my goals from 2012, because it worked so well for me. This year I have my eye on Escaping Into the Open: The Art of Writing True by Elizabeth Berg, Turning Pro: Tap Your Inner Power and Create Your Life’s Work by Steven Pressfield, and On Writing Well: The Classic Guide to Creating Nonfiction by William Zinsser. Try new things. 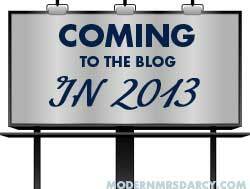 I’ll tell you more tomorrow about what’s coming to the blog in 2013! Hit up another conference (or two or three). I’m thinking about Killer Tribes, Story Chicago, and Influence. Print photographs quarterly. My kids love to flip through family photos (and so do I). I’m doing pretty well with capturing memories, but I’m terrible about printing them. Monthly would probably be a better idea, but I know quarterly is actually doable. I’m marking my calendar now! Read 1 fiction book a month. 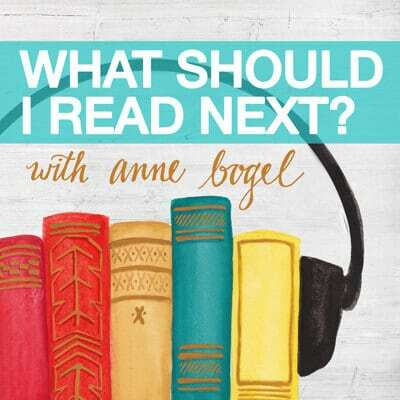 It’s incredibly easy for me to find great nonfiction, but I struggle with finding great fiction–especially modern fiction. Seek out opportunities to meet blogging friends in person. Because these get-togethers have always turned out to be delightful. Use my weekends well. Since November, my family has reclaimed our weekends! (For six years, my husband worked at a church, so Sunday wasn’t the weekend for us–it was his busiest workday–and he often worked Saturday nights as well.) This year we want to be intentional about using our weekends well. I’m using Laura Vanderkam’s brand-new ebook What the Most Successful People Do on the Weekend: A Short Guide to Making the Most of Your Days Off as a guide. Details to follow. Go on a family camping trip. We didn’t get to this one in 2012, so we’re rolling it to 2013. At least it will be easier now that the baby’s a little older! 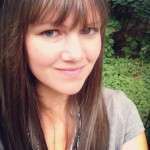 Anne- I found your blog recently and am so glad I did! What a treasure. I have found myself writing down many of your goals- I just might have to ‘borrow’ a few of them! We have a lot in common this year! I am just starting my first Whole 30 too. I started January 1st so its just my third day. I am super interested in blogging conferences but haven’t found any real way to research them cleanly. I live in the New York area…there have to be some here! Good luck with your Whole 30, Carlie! And you’re right, there have to be some…. BlogHer has been in NYC in the past but I don’t know the future plans. I hope you find one you love! I love the idea of logging your books. Maybe I”ll copy you on that . . . and this list is impressive, Anne. Very much so. I’m reading a great book about how to succeed at reaching our goals. It isn’t enough just to write them down. The book uses psychological studies and brain science to give concrete advise. It’s called Succeed by Heidi Grant Halvorson, Ph.D Happy New Year! Thanks so much for the book recommendation. And as a sorta perfectionist, I love the way you framed things in your post. Love your goals. I still haven’t created mine for 2013, but I may borrow some of yours. Yes, please, details on the photograph project idea! Also, I’m very curious about the online yoga thing. I need to figure out some realistic fitness goals, and that one seems like it might fit in well with my current situation. Go check it out! Plus Jen’s a doll (we got to have pizza in real life in October–be jealous 🙂 ) and I’m sure she’d be able to answer any questions you have. I’ve only done the one series and I’m a total newbie, but I really like it. I enjoyed how you put your goals into categories. I’d like to borrow your idea of Celebrate Special Breakfasts (reading Happier at Home but haven’t finished it) and also increasing the temperature of the home to warm and cozy. I started logging the books I’ve read a couple of years ago (I have a special little book for this) and then at year-end I post the list on my blog, which I did a few days ago. It’s really fun to look back at what I’ve read. I would definitely recommend Escaping into the Open by Elizabeth Berg, and I’ll check out your other suggestions for books on writing. I admire your goal-setting. I agree with Evelyn above that goals are better than resolutions. To me, a goal is a direction and a resolution is a chore. I hate chores. Enjoying your blog, it’s quite inspirational! Great minds – I shared my goals for 2013 on Busy Nothings today. Some are small, some are huge. I’m aiming for 75 books this year, and am so thankful for Goodreads to help me keep my list in order! 🙂 More financial goals (post to come), and some very personal ones as well. It should be an interesting year. 🙂 Blessings! Anne- I love the following particularly: complete a Whole 30 (although the idea of no coffee is terrifying! ), create more get-togethers with friends, log books (I start off strong with this each year, then I stop logging and am so disappointed at year end) and print photographs quarterly. I also love the way you have categorized your goals. Your categories really make sense to me. Great minds, they say! It is so fun to read others goals. Thanks for sharing, Anne! The only problem is that I’m now full of new ideas to add to my 2013 goals. The biggest and best one you list is saving for half a down payment. We’re a growing family of three with one bathroom. Someday we’d like to rent this house out and move into something a little bit bigger but I think that’s still years and years away. I love your idea of reading a fiction book a month. Can’t wait to hear what you like and dislike. I’d love to read more good fiction this year but it’s tough for me too. Lesley, glad I’m not the only one who struggles with finding good fiction! Love this. I have seen that yoga video series around and have been thinking of doing it. Maybe this year I will. Guest posting is definitely another goal of mine this year. Thanks for sharing, you’re inspiring! I’m working on my “big” goals for 2013, and one of my priority goals is to read “12 non-fiction books.” I can read fiction day in and day out, but I struggle through non-fiction. Laughed out loud when I saw you have the exact opposite goal and the exact opposite problem. Love these goals! Would love to be one of the bloggers you meet in real life! That is a goal of mine too!!! Hey, I think we can bridge a gap of a few miles! On Writing Well is one of my favorite books! Yes, I’m a communications major who worked in PR. But I believe it’s worth everyone’s consideration. I pick up every copy I see at yard sales and thrift stores to give away when asked. Enjoy! Seriously, I wish I’d found that one years ago! Especially because I’m such a huge fan of The Elements of Style; it feels like a companion volume. One of the best things I’ve done for myself by far is to commit to trying one new experience a week. I started in June 2005 as a way to get over a break up and haven’t stopped. Wishing you the best in 2013! I love that idea! And that is an impressive track record now that it’s 2013! “I want to write more for the sake of writing.” – ME TOO! I’ve been quite sad that I haven’t done that lately. I’ll immediately think if it’s bloggable or not and then perhaps skip it. I too, want to learn to use my camera better in 2013. And, also I’d love to have you guest post for me! And vice versa, if you’d like. I too, would like to do a pitch at least once a month. This past year, guest posting has been so helpful for me to write more often in a more focused way. A lot in common here! Love this list Anne! I have some of the same goals but have put off writing them down (if I don’t write them down, it’s ok if I don’t meet them right?!). You totally reminded me that I forgot to include The War of Art as one of my 2012 books. Can’t believe I left that one off the list. Amazing! I haven’t read Turning Pro yet either but I should. Another one to add to the growing list. Sigh. Happy New Year and all the best to you as you go for these goals! Thanks, Jessica, and Happy New Year to you! Great goals! I once tried the 21-day Kickstart (vegan) – I made it through about 10 days. I wasn’t interested in becoming vegan, just looking for a way to explore other ways to eat and hopefully become more aware about the ingredients in my food. I used to journal (old-fashioned paper!) my goals and it was a great way to look back and see my progress. I think I might try this exercise again. Thank you for sharing. (I’ll also be interested in specifics of how you are saving for your down payment, if you are so inclined to share that progress). Jennifer, specifics on progress or on strategies? I’m laughing about the vegan experiment 🙂 Thanks for sharing! Progress and strategies. BTW, I’m thinking about doing it again. Right before Christmas, Samuel decided to become a vegetarian! This is such a great list, Anne! I’ll be interested to see how everything comes along. Also love that you’re incorporating some of Gretchen Rubin’s ideas. I finished reading Happier at Home last week and have a review coming on Monday. That book really got my mind buzzing! It’s my first time here… I am a newlywed and I am trying to figure out a lot of new things 😉 Organizing, home keeping, writing and blogging, our home. It’s so new that it’s good to find places like this. I have always been very independent and I can’t stop saying how all this is so new to me. My focus has shifted from a career to being a homemaker. As weird as it may sound, sometimes it is overwhelming. To read all this is just encouraging. Hope, it doesn’t sound weird AT ALL to find such a major shift to be overwhelming! I’m glad you’ve found some encouragement here–welcome to MMD! Pingback: My Whole 30 Is Over. I Feel Amazing. It's Complicated. My goal this year I want buy my own home and car this year! So what to do? Pingback: The Progress I Made Because of This Blog, and Because of You. (2013 Goal Update). Pingback: The Goal Behind the Goal: I Want to Be a Better Memory Keeper. Pingback: 3 tools to make your photographs 1000x better.